Disney English Course Consultant provides the Disney English Experience to potential parents through a comprehensive solutions oriented demonstration and sales process. Once a parent has enrolled and becomes a member of the Disney English Center the Course Consultant maintains a strong relationship with the parent and learner to develop a long-lasting relationship with Disney English. Work closely with the operations and academic teams to deliver the Disney English Experience to both new and existing parents to support monthly and quarterly center sales target achievement. 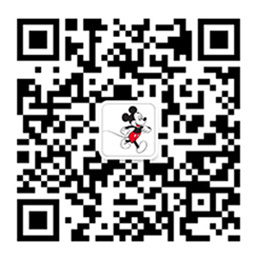 Introduce Disney English course contents and teaching methodology to parents in strict accordance with Disney English sales process and policies. Follow up with potential customer by telephone to schedule appointments and confirm appointments. Support marketing activities in and outside of the center to enroll new parents into Disney English programs. Develop and maintain relationships with parents, as needed helps parents solve issues. 1 year minimum sales related work experience, with children's related business as a plus. A passion for working with children and their families / caregivers; Understand kid parent’s experience and kid education. College degree or above required；Basic computer skills including MS Word and Excel.